I'm writing this after having been awake for 36 hours: having worked for 18 at my desk job, divided 12 between making art, looking at other people's art, eating, and washing everything in my suitcase in order to pack it up again, and finally having danced for 6 of them straight. By the time I finish this, I'll be on hour 44. I'm typing this into the screen of my iPhone 4s on the train, using an app that mimics some sort of antiquated textured paper. It doesn't at all resemble the type of paper I have in my notebook. I realize that I have my notebook on me, but for some reason my phone seems more appropriate for the drafting of this essay. I can see Rafaël Rozendaal's haiku being placed where the ads are in the train cars. I don't ride the train much anymore, but when I do I like to just stare off in the direction of the ads. Most of the time the ads I see are for low-income housing or depression; recycling or free meals; the removal of varicose veins; burlesque clubs that specialize in performances themed around video games from the 90s. I'm writing this in my head as I walk home. I'm trying to smile at people and dogs without looking directly in their faces. I'm writing this in my bed with all the sheets piled on top of the mattress. I plan to write this on the plane to LA tomorrow, but instead I'll end up sleeping. I'm writing things that I probably shouldn't allow to be published. But I want to be honest, and so, what else is there to write? This is what Rozendaal’s haiku seem to ask for: an unpolished collection of thoughts and reactions, brutal honesty at the risk of saying something and nothing at the same time. Last week at an artist residency I had a two-hour long conversation about irony and sincerity in the art world, and about the questions that those of us who enter it from working class families constantly nag ourselves with. For a long time the trend towards insincerity in art used to bother me, and I could never exactly say why. Now I realize that it irked me because only certain people can afford this kind of insincerity. If you are spending money to make art when you should be sending money home to your family, you are doing something so absurd that you can't risk not being utterly sincere about it. Despite what others may think, something about Rozendaal’s haiku leads me to interpret them as sincere. They read as direct expressions, perhaps because the syllable count has been abandoned. I’ve always thought that the people who really mean what they say are the ones who just say it, regardless of whether or not it sounds pretty. This is why I think Joan Baez makes folk songs sound terrible; the recordings focus more on her voice than the lyrics. The first time I saw Rafaël Rozendaal speak was in 2011 at the Nightingale Theater in Chicago. Watching something at the Nightingale sort of feels like watching something in someone else's living room, because technically you are. I knew about his work because at the time part of my job was to read Rhizome and post links to web art on a blogging site with an outdated interface. When I inherited the task, for some reason there were no links to Rozendaal's websites on the blog. Maybe because of the hyper-saturated color of some of his work at the time, or because the crowd of my peers that I knew I would see at the talk were exceptionally rich, glam, and fashionably ironic, I expected him to be a little more flashy than he was. I was surprised to see a fairly friendly looking guy in a white shirt and jeans that spoke about his work in what seemed like a very sincere way, and who wanted to go out to eat with a bunch of strangers afterwards. At the time I had an ex-boyfriend named Rafael who was also familiar with Rozendaal’s work. After we broke up he moved back to Santa Barbara, California. At one point he started talking to Petra Cortright on the internet because she also lived in Santa Barbara. It’s a small place. He liked to tell me about it because he and Rafaël Rozendaal had the same first name. He also used to wear white t-shirts with the sleeves rolled up and jeans. They even had the same hairstyle. I didn't go out to dinner with everyone after because knowing this made me feel like a spy. I'm writing this now in a former thrift store. I've been told that my bedroom, which is just large enough to fit a twin size bed, is actually not a bedroom at all, but a 24-hour access studio. I assume this means that I have to make art in my bed while I am here, and so, I am in bed on my laptop, not making art, but writing about it. Or around it really. I'm here because I am pseudo residency hopping, meaning that I am coming back home to work 5 days in between each new residency, because unlike some people, I think I could become homeless. It's exhausting. But it also feels luxurious, like pretending to be rich. Except that rich people would never do this. They would never spend weeks at a time living with a bunch of strangers three to a room, on small beds that aren't their own. It makes the airport feel like the pinnacle of privacy and concentration, and a 5-hour flight the best place to sleep. I spent 4 hours in the Piedmont Triad airport today just to write. What I'm trying to say is that artist residencies, like attending art schools, are all about trying. It's an extension of effort towards some point, even if no one really knows what that point is. When I decided to leave home and go to an art school whose annual tuition amounted to far more than my family income I told my mother it was all to avoid "social stagnation." I don't know where I got the phrase from, but I just repeated it over and over. It goes back to the concept--or rather the reality--of art as a strange form of class hopping. You don't know what you are doing, or why you are doing it; you just know that you want to make your life different than it is. You want to try. Not just staring at it, but sleeping in front of it. The hallway that the haiku will be installed in is a strange place because it is public to the school community but often co-opted by students for otherwise private activities. I've met so many students over the years that refer to it as their "secret spot." I see students taking power naps on the grubby sofa, their cellphones in their hands, arms flung out waiting for the alarm to go off. I see students eating, crying, cramming text into their brains or into their laptops, having group meetings, and sometimes make-out sessions. This all happens in a well-lit, visible space. Somehow they've blocked out the fact that they are always on display. They are so focused on trying. Trying to get through the 2-5 year situation they've put themselves in. The same situation that will lead to a lifestyle of just trying at the expense of sleeping, eating, begin alone, being around others. They can't stop to ask themselves if the life they have chosen is good or bad, because if they do, it might all fall apart. Unless you come from a family that makes or looks at art, either of these lifestyles will lead to the confusion of your parents and siblings thinking that you are perpetually in school when you say things like "I just got off work but I have to write this essay/proposal/statement." or "I'm taking off work to install this exhibition/participate in this festival/talk at this symposium." They won't understand why you are doing these things that seem like work when you are not at work. Because artists are a species of people who are working all the time, unless you come from a wealthy family that funds your art practice. In this scenario they will understand the concept of not working, and since art is your only job, you might actually have days off. My mother was always working and so I grew up in an office building, along with my siblings, a few friends who also came from single parents and needed a place to be at night, and the children of the people who cleaned the building while my mother worked late into the evening. This was the type of office building with maze-like hallways filled with cubicles upholstered in scratchy grey or beige fabric, and there were several of them over the years. One thing I remember is running back and forth through the hallways as fast as possible in my socks. Another thing I remember is playing with the copy-paper. The colors of the haiku paintings look like the colored copy-paper in most offices. They speak of a sort of playfulness that is controlled, corporate or regulated. They are meant to 'spice things up' without irritating anyone's palate. I saw a lot of these colors when working in the Hans Ulrich Obrist archive; they pop up in some versions of the instruction-based project do it and also in the work of the artist Amalia Pica. The exhibition catalog for Pica's solo show at the MCA is filled with pages in these exact 5 colors. It is meant to look like a composition book, and many of the essays are accompanied by charts and graphs. In Pica's work this seems to hint at the elementary and at shared formalized experiences. In Rozendaal's work it makes me imagine the haiku being typed up in an office cubicle. A lot of the haiku describe long periods of staring at screens, wanting money, going to the bathroom, longing for vacations, feeling the need to exert effort in some way, wanting to come out ahead of others, fluctuations between boredom and stress. They could easily describe working a desk job and being a digital artist at the same time. Maybe one thing they show is that people who are artists and people who are not artists aren't really that different. Both spend a large portion of their time staring at screens in exchange for money, excreting, and thinking about the beach. 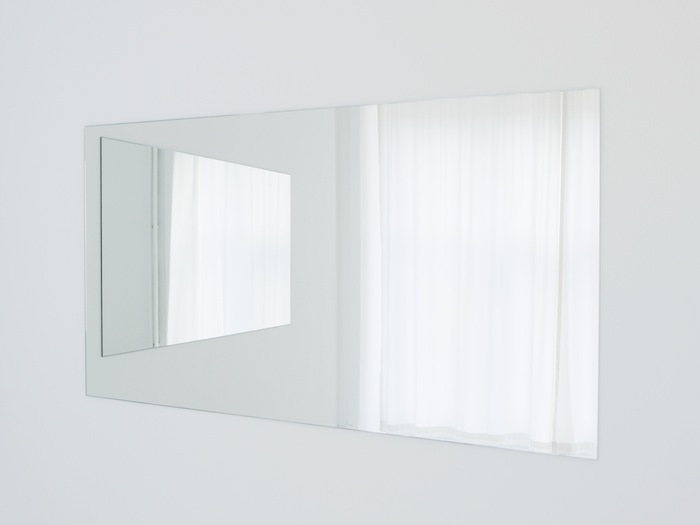 In their utter simplicity and clarity, Rafaël Rozendaal’s haiku stand for the current moment. Viewing the five chosen for exhibition, with the same lowercase font (obviously Rozendaal couldn’t be bothered to capitalize the letters) and sickly sweet pastel backdrops, I laughed. Perhaps it’s because The Weeknd’s newest album glorifying the detached and morose is blaring or that a recent New York Times Magazine is open to an article chronicling how the Internet affects artistic production, but Rozendaal’s work is absolutely on point. Our generation wants everything quick, easy, and gleaming. When we don’t have that, we give up. We want to put in the least amount of time and effort for the biggest payoff, whether that’s with work, relationships, etc. Being overtly interested or passionate about something is viewed as a downfall—apathy is valued above all else. These work can exist in multiple formats—as the wall paintings, in photographs documenting the installation, and in the instructions and certificate of authenticity that accompany the work. The works can be painted on a wall by anyone, as long as they follow the artist’s instructions. An art historical lineage of wall paintings—think Sol LeWitt or Lawrence Weiner—supports the view that if this work is executed without these documents, it is an unauthorized version and thus a copy. With works like Rozendaal’s, which exists in formats beyond that of traditional wall paintings, we can begin to open up these parameters and question their uniqueness. The haiku have another life beyond that of the wall paintings. They exist in a book of almost one hundred haiku (again, he couldn’t be bothered to make a few more), on a dedicated section of Rozendaal’s website, and on social media—Instagram, Twitter, even the almost passé Facebook. These works are seemingly made for social media—they are endlessly clickable, flippable, and scrollable, rife with likes and favorites. The haiku are so relatable, so precise in their inaction that it is easy for social media users to, with very little effort, double tap and re-post. What is fascinating about this phenomenon of the apathetic is that, at our core, we aren’t apathetic. We almost work harder to appear that we are. It’s that “undone yet done” look: the outfit that seems effortless but was actually deliberately chosen or the Instagram presence complete with thousands of followers that you act nonchalant about but in reality is carefully curated. To promote his work, Rozendaal runs every social media outlet that is acceptable and even has a separate Twitter account where he documents, in real time, every bite of food he has eaten since 2008. All of Rozendaal’s pages have taken consistent time and effort to maintain but it doesn’t appear that way. Rozendaal’s food Twitter is simple, that outfit is casual, and that Instagram presence is understated. Stuck in the in-between. 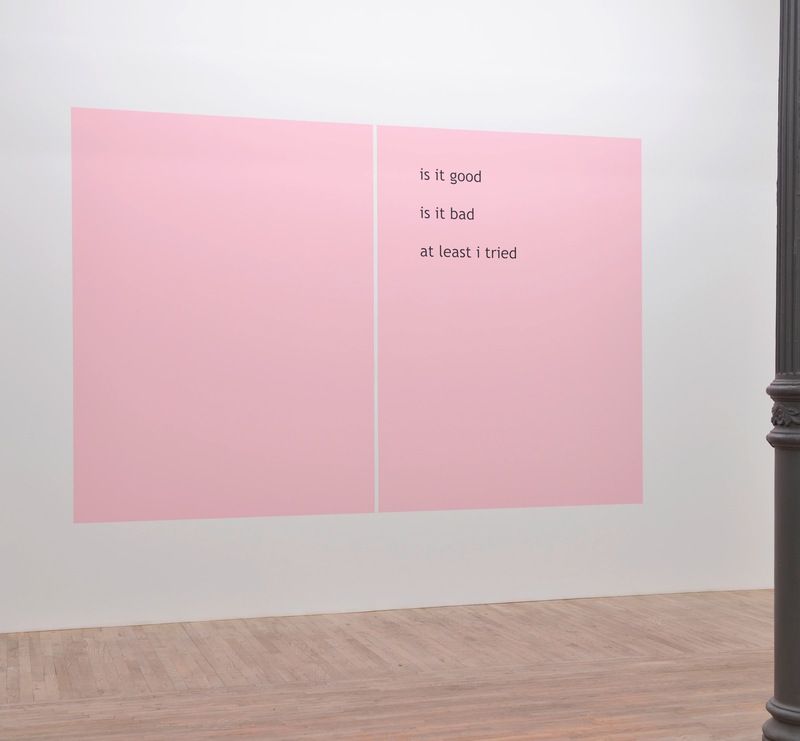 And it’s the in-betweenness of Rozendaal’s works that truly stands out—the variety of presentations the works can take, the location of their installation at SAIC, and most of all, the language of the haiku. It’s as if the speaker is caught, about to produce something, and then stops. It’s all too much. And it’s this apathy that is emblematic of our generation. Rafaël Rozendaal, “Things and Pictures of Things,” newrafael.com. We’re all worried about what the Internet will do to us now that we need it for everything from driving directions to dating. There’s an NPR podcast entirely devoted to concerns over digital technology’s interference with our health, our minds, our lives. (If only you didn’t need the Internet to listen to a podcast.) We act like the World Wide Web is some kind of uninvited guest who just won’t leave or, even worse, a tyrannical colonizer rendering us all slaves. We forget that we make the Internet; it’s not the Internet that makes us. Image from The Matrix, Warner Bros. Pictures, 1999. From Giphy. Rafael Rozendaal hasn’t forgotten, though. If you Google him, you’ll get 135,000 results almost proclaiming him the artist king of Internet. He’s best known for his single-page website “paintings” that now sell for thousands at auction. Perhaps this is why his haiku works, like the ones on view in at least i tried, are so frustrating—a few words typed up in Trebuchet with directions on how to paint them on a wall, what the hell does this have to do with the Internet besides its web-friendly font? 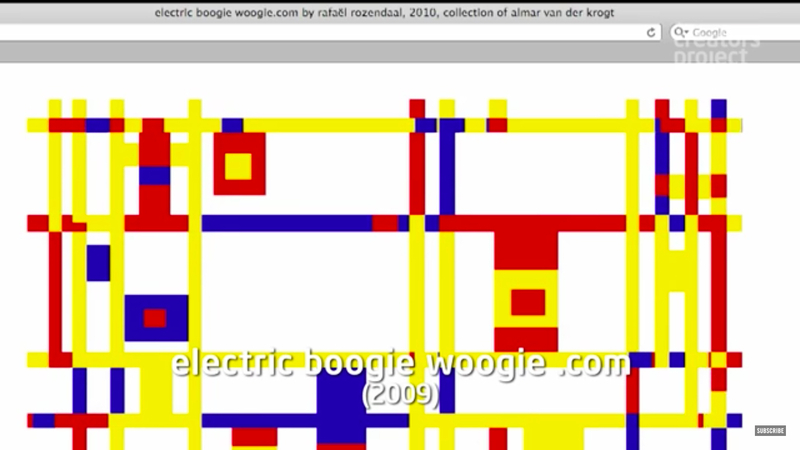 Rafael Rozendaal, Electric Boogie Woogie .com, 2009. Screenshot from YouTube. I guess we can consider the haiku an inversion of his earlier website works wherein the artist likens a screen to a painting (instead of likening a painted wall to a screen as is the case here). But this might be too simple of an answer for a man that purportedly has the word “Internet” tattooed on his inner lip. What is it about this archaic form of Japanese poetry that Rozendaal finds useful for—or even congruent to—his web-centric practice? Traditionally, these short poems of just seventeen syllables were reflective, momentary musings that nodded toward nature. Is not the plight of the new millennium our inability to reflect on the world’s natural wonders since we see everything through a screen now? Jon York, Wanderer above the Sea of Google Images, 2013. From Tumblr. Our screens aren’t our masters, as Rozendaal reminds us through some of his other works. We can click them, change them, close them, or even shut them off. What we can’t turn off as easily is our desire for them, to be lost in a black mirror, to revel in the unexpected as we scroll through our Facebook feeds. Many of the haiku on view in the exhibition express this need to be stimulated or awed (“almost nothing/ hardly anything/ barely something”) or the sublime pleasure of feeling overwhelmed (“never working/ never/ not working”). These are not new yearnings, as the timeworn practice of haiku proves. Rafael Rozendaal, Popular Screen Sizes (60″, 55″, 46″, 40″, 32″, 27″, 24″, 21″, 17″, 15″, 13″, 10″, 7″, 3.5″). Installation at Nordin Gallery Stockholm, November 2011. From newrafael.com. Rafel Rozendaal, at least i tried, 2013. A primary characteristic of the haiku is its resourcefulness: the economy of language, the editorial efficiency, and, above all, its simplicity. To be resourceful as an internet artist is something of a tautology, a trait that resembles more of a genetic disposition rather than an aesthetic style. In the case of Rafaël Rozendaal, the restless ability to detect the finitude of his terrain — to plot the cartographic limits of artistic domain names — is a precondition to his haiku practice. By rethinking and updating the haiku form in a context parallel to that of internet art, Rozendaal shows us how, like offline sighs of relaxation, ripples of meditation are today more necessary than ever. It’s no accident, then, that the haiku’s function in its (post­)modern context coincides with its most ancient characteristic: an evocation of nature. The main difference today resides in its transposability of form: will it be published as a book, printed on canvas, or projected onto a screen? As technology accelerates, art markets inflate, and domain names are bought and sold, Rozendaal’s haikus address the world in both content and form. One can read them as intermissions from digital fatigue, or consistent pieces in an expanding URL puzzle. Here, concrete images are doors into wide areas of philosophical thinking. Each image, which can be seen and felt vividly, invites questions which then invite discourses or long avenues of private thinking. because u r making me thirsty!!! By invoking his own state of “never working” and yet “never not working,” Rozendaal gives us a picture of himself as a kind of bot, a script with no real ownership over its own biproducts, the dumb mouth of a god he can’t understand. It is Rozendaal, the author, as an image, which starts to open a door for philosophical thinking. This not-not-working state looks like sitting at a computer and typing out “never working / never / not working,” or it looks like negotiating with a school’s bureaucracy to pay workers to paint “never working / never / not working” on the wall. A collector tentatively wondering if he bought the right one, the right one being “is it good / is it bad / at least i tried” is an image, and it can begin to ask questions in the way that longing for Kyoto while being inside the city does. That he has strangled the bird into silence, eliminating nature and color from his haiku, means that these are all five winter poems, more than a year of seasons passed in the arctic, alone, on a boat, with no horses anywhere.